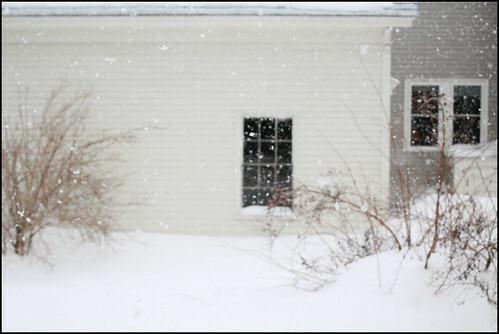 With winter fast approaching, it's only natural that you'd want to make sure your house is fully prepared for all of the harshness that the weather can bring. Given all of the issues that can arise from an improperly maintained home, it's no wonder that many people are worried about how to make sure their house is as well protected as possible. With that in mind, here's a look at some of the best tips out there to make sure your house can handle everything that the winter brings and then some. Although it's easy to think that the biggest problem with the winter is the coldness it brings, the dampness can actually be one of the biggest problems. For one thing, damp areas typically attract insects, and that's a fact that's no different in the winter than it is in the summer. If you want to avoid all manner of pests breeding in the area around your home, then you'll probably want to make sure that you invest in some kind of exterior waterproofing. This system can help ensure that your house doesn't get any unnecessary leaks and that you and your family aren't exposed to anything that might cause you to get sick. You'll also want to do something to make sure you're not letting go of any of that valuable heat you have. If you find yourself running an incredibly high energy bill, then it's likely that the issue lies with how your heating is being handled by your house. More specifically, your roofing might be to blame. If you can hire a contractor to take care of your roofing needs, then you should be able to help keep your heat contained so that it won't become a bigger issue when the winter really picks up in ferocity. Similarly, if you have a fireplace, you should consider investing in some kind of maintenance service for that as well, as you can never be too careful. Consider hiring a professional to check your furnace at the beginning of the cold weather season to ensure that it is working at full capacity. Sometimes just a small thing can make a huge difference in the efficiency of your furnace, and in your power bill. If you can't hire a professional, at least be sure to change the filter regularly. While protecting your home may require an investment of both time and money, it will ultimately be worth it in the long run. No one wants to see their home fail to provide proper shelter for their family, and these steps will hopefully ensure that you keep the cold outside where it belongs and the heat inside with you and your family. Lots of people have planned a road trip absolutely thinking that they will enjoy every second of the trip, only to actually get out on the road and find out things aren't exactly as they envisioned. Now the only thing they want is to get to their destination as quickly as possible and just get this trip over with. It is important to strike a balance between planning too much and not planning enough. If you over-plan, you will get frustrated if everything doesn't work out according to the plan you have set up. However, if you do not plan enough, you may end up having to stay in nasty hotels, eat unhealthy and gross food, or even get lost on the way to your destination. It is good to have an overall idea of which route you will take, which hotel and restaurant options are available, and also what kind of entertainment you could enjoy along the way while still being flexible and able to take advantage of any opportunities that present themselves. The amount of time that you have designated for the road trip (and other factors) will determine how much you can see along the way. No matter how much or how little time you have, it is always a good idea to take a little bit of time to relax, see something new, and enjoy yourself. This will make the road trip genuinely enjoyable. It may be something like taking a detour and staying in a relaxing hotel for a couple of days. 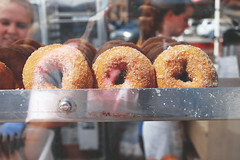 Or it may be as simple as stopping at a unique bakery Chicago IL in order to enjoy a fresh doughnut - as opposed to just stopping at any old convenience store to grab a snack. Do at least a couple of things along the way that you will truly enjoy and that will make the road trip memorable. Consider the individuals who will be traveling with you. If this is a family road trip, make sure that there is plenty of entertainment (and plenty of snacks) for the children. Otherwise, you are practically guaranteed to hear, "Are we there yet?" coming repeatedly from the back seat. Many vehicles nowadays come equipped with DVD players, so don't forget to pack the movies! 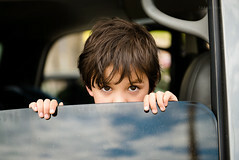 Or, for some family fun, check out this handy list of games to play in the car. If you need to get to a destination quickly, consider driving at night so that the kids can sleep most of the way. Take into consideration the preferences of each individual in the car so that everyone stays happy and enjoys the trip. And last but definitely not least, make sure your vehicle is in good condition. This cannot be overstated. Dealing with car trouble along the way can turn a trip that could have been quite enjoyable into a nightmare. A few weeks before your trip, have your mechanic check the vehicle over. If you do all you can to prepare your car beforehand, you will likely avoid car issues along the way. So, who's ready for a road trip?